Prince Harry has asked his older brother Prince William to be his best man at his wedding to Meghan Markle, it was revealed today. 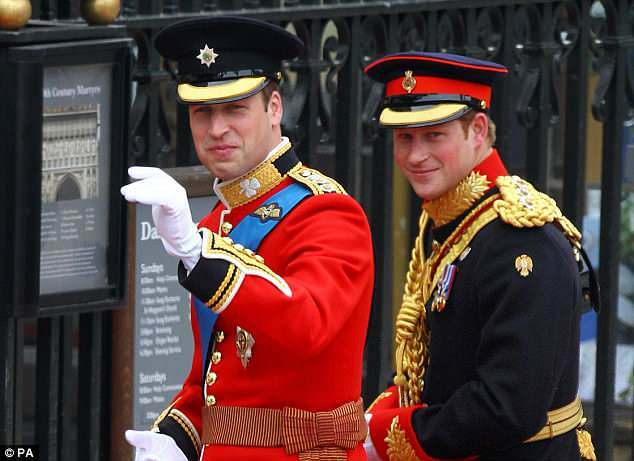 Wills, 35, will return the favour to Harry, 33, who was his own best man at his wedding to Kate Middleton in 2011. 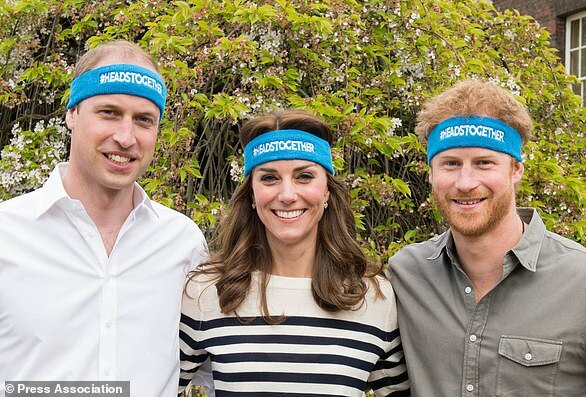 Kensington Palace said William is 'honoured' to have been asked. 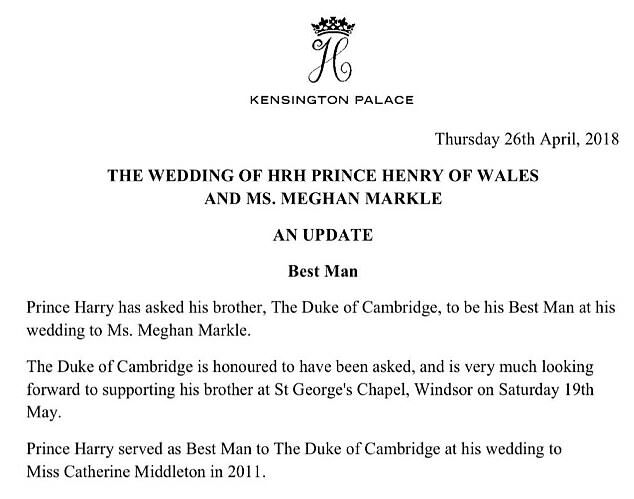 In a statement released this morning, Kensington Palace said: 'Prince Harry has asked his brother The Duke of Cambridge to be his best man at his wedding to Ms Meghan Markle. 'The Duke of Cambridge is honoured to have been asked, and is very much looking forward to supporting his brother at St George's Chapel, Windsor on May 19th. William told of his joy when the couple announced their engagement in November. He now has the job of organising a stag-do for his party-loving younger brother, as well as preparing a speech which will draw on years of experiences together. 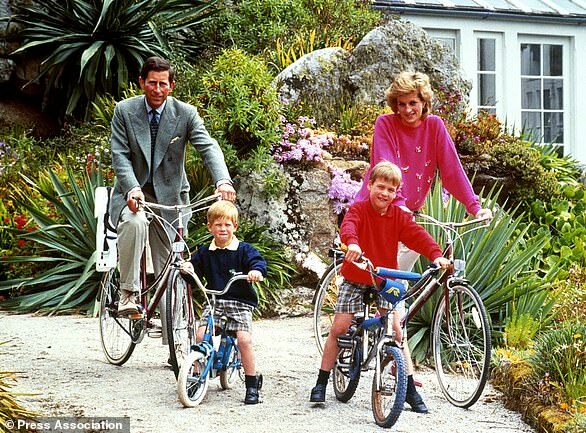 When Harry's engagement was announced, William said his family were 'all very excited, delighted for them both and wishing them all the happiness in this very exciting time'. 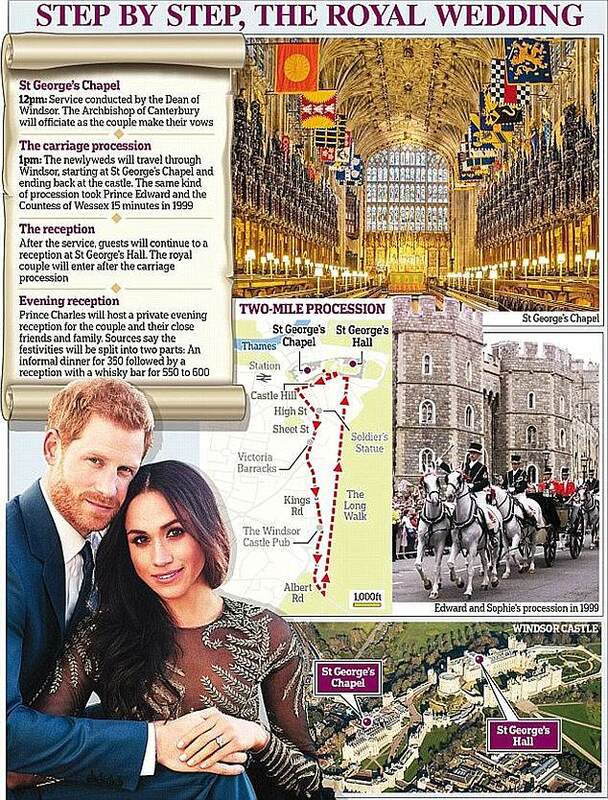 Harry and Meghan will marry at St George's Chapel in Windsor Castle on May 19, with millions of people expected to watch around the world. They will embark on a carriage procession around the Berkshire town, cheered by residents and visitors, before a reception at St George's Hall. Guests at St George's Chapel will hear performances by artists including Christian gospel group The Kingdom Choir and cello prodigy Sheku Kanneh-Mason, 19, from Nottingham - who received a personal call from Meghan herself. An orchestra made up of musicians from BBC National Orchestra of Wales, the English Chamber Orchestra and the Philharmonia will be joined by Welsh soprano Elin Manahan Thomas and principal trumpeter David Blackadder. Palace aides have previously said that the prince and Ms Markle's wedding will 'reflect their characters and personalities' and be a moment of 'fun and joy'. 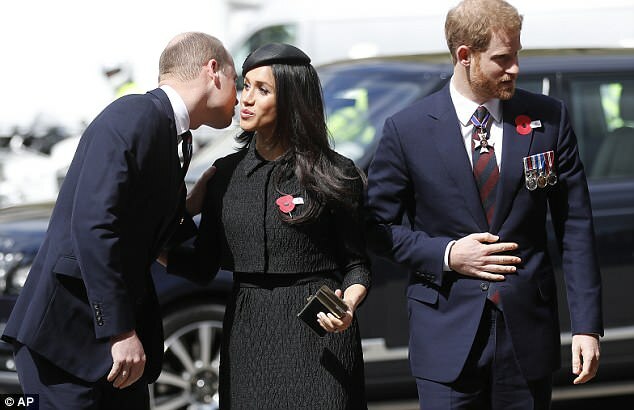 The Queen will attend, as will the rest of the royal family, along with Ms Markle's parents Thomas Markle and Doria Ragland. Guests include a schoolgirl who survived the Manchester bombing, an Afghan war veteran, a deaf schoolboy who taught his classmates sign language as well as workers from charities supported by the couple. The royal family are paying for the wedding, including the church service, the music, the flowers and the reception. But the security costs for the high-profile event are being covered by the state. Harry and Meghan sent out the invitations last month. Some 600 guests will attend the wedding service at St George's Chapel, before they all make their way to a lunchtime reception at St George's Hall, which is being given by the Queen. Later that evening, 200 guests are invited to the private reception at Frogmore House given by The Prince of Wales. 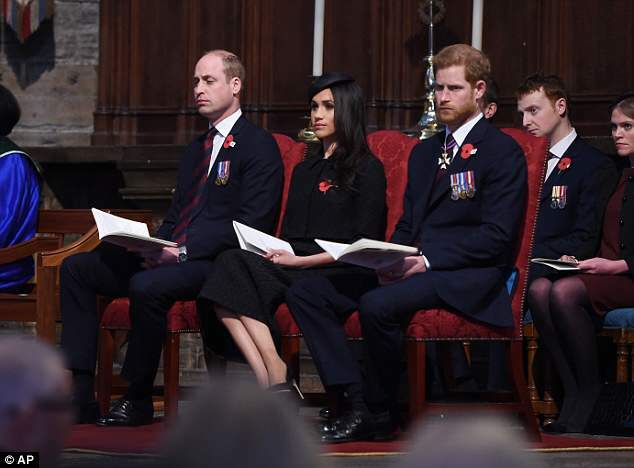 The invitation stipulates a strict dress code with men asked to don military uniform - likely to be worn by Harry, a former solder who is now Captain General of Royal Marines - or a morning coat and lounge hat, with women asked to wear a day dress and hat. The cake will be made by London-based baker Claire Ptak who is renowned for her American-style bakes, to make their wedding cake. Harry and Meghan have opted for a trendy lemon and elderflower creation that will be covered with buttercream and decorated with fresh flowers. 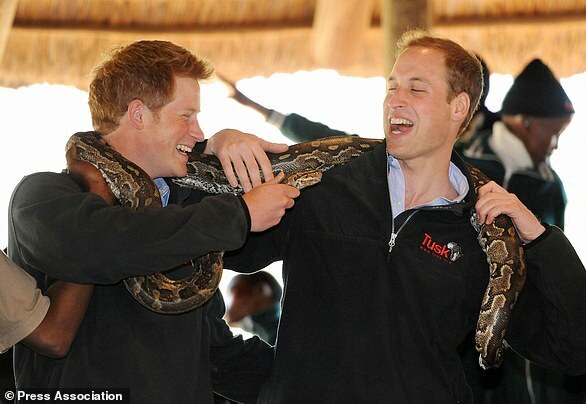 The Duke of Cambridge and Prince Harry have a close bond. Their shared memories of childhood and the support they offer each other has been invaluable in adulthood. 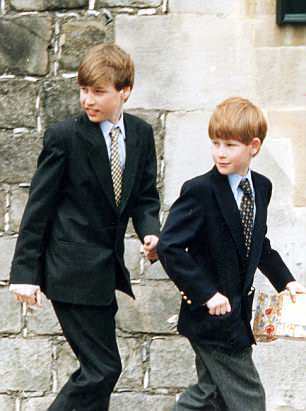 Growing up together, they jointly experienced the scrutiny that comes with royal life. Both have served in the military, facing the rigours of training at Sandhurst, followed by a career, for a time, in the forces. They play polo together, and live close to one another at Kensington Palace, where they grew up. 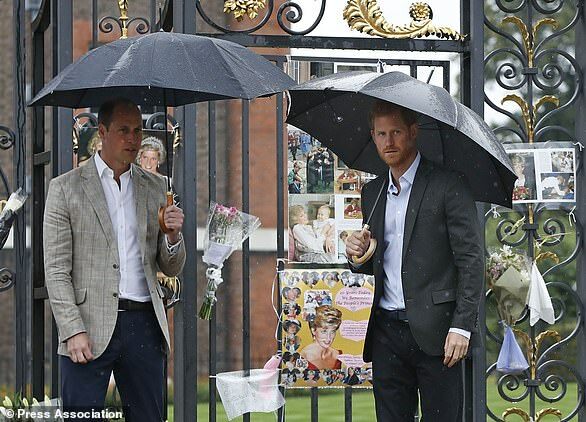 It comes as no surprise that Harry has asked William to be his best man. 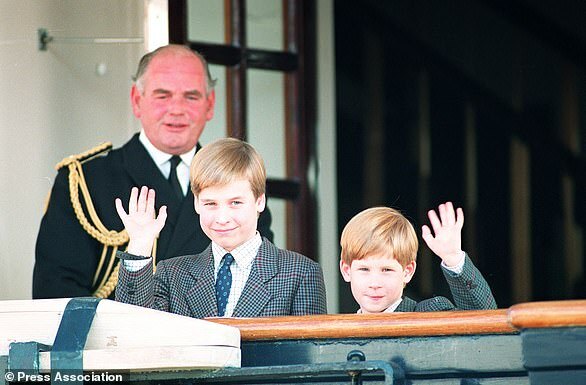 Although different in character, the pair have remained friends, and are at ease in one another's company, frequently making jokes about each other's hair at royal appearances. 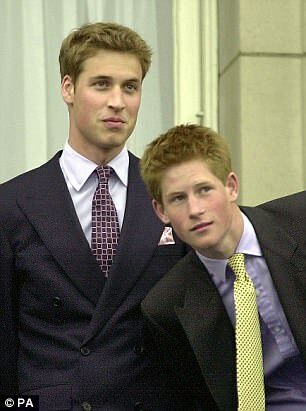 Harry, more open and outspoken, has always been seen as more of the party prince compared with William. Considered more reckless and the daredevil one, Harry's most famous stunts have included being photographed playing strip billiards while on holiday in Las Vegas. Future king William is seen as more cautious, and more measured in his approach. But Harry, who was the spare to the heir until William had children, has settled down in recent years, concentrating on his charity work, and is now preparing to wed American former actress Meghan Markle. 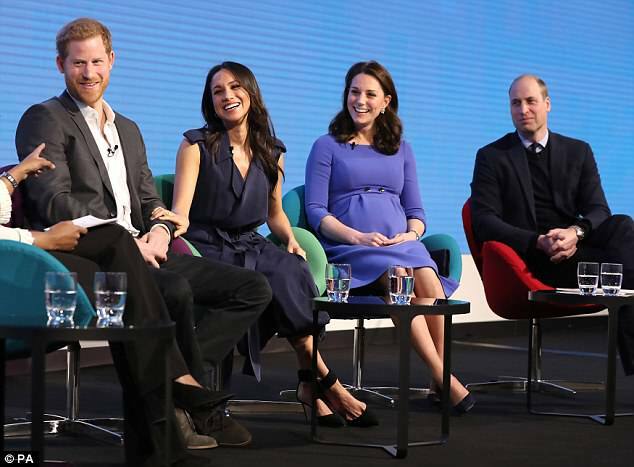 The brothers jointly work together on their Royal Foundation, striving to raise awareness surrounding mental health issues, along with other charitable work. At the altar, it was Harry who reassured him that all was going smoothly on the big day, telling William when Kate arrived: 'Right, she is here now'. Harry's best man speech was said to be both hilarious and touching. William now has to return the favour. But their friendship has a sadness at its roots. 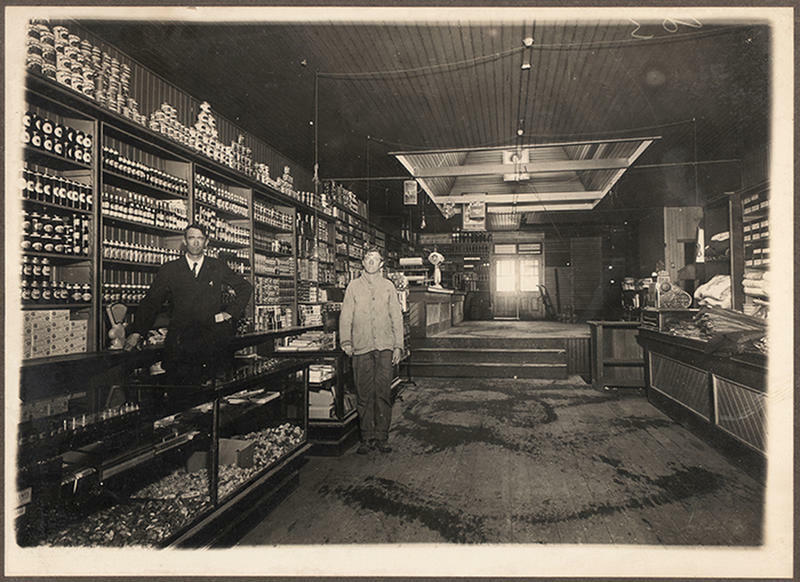 The brothers had to endure losing their mother at a young age, an experience which brought them together in grief. Both have spoken of the warmth their mother showed them in childhood and how she strove to make them aware of those less fortunate than them. 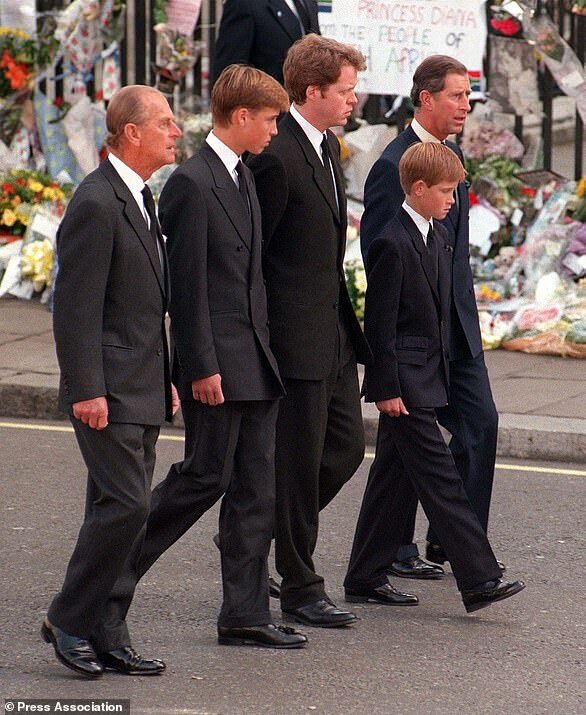 Last year, they marked the 20th anniversary of Diana's death, viewing tributes left for the princess at her former home, Kensington Palace, and commissioning a statue in her memory. 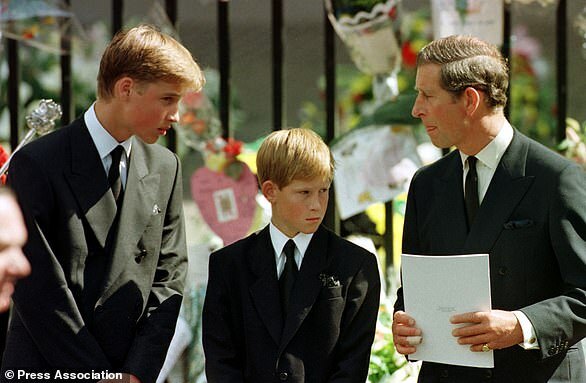 When Harry turned 21, he described William as the one person on the planet with whom he could talk about everything. 'It's amazing how close we've become,' Harry said. 'I mean, ever since our mother died, obviously we were close, but he is the one person on this earth who I can actually really … we can talk about anything.